I’ve been a fan of racing games since Wipeout 2097 which was the first one I developed a real obsession over. I was a big fan of the Gran Turismo series too and, back in the day, bought a PlayStation 2 just to play GT4. I was excited about GT5…until I played the Prologue on my flatmate’s PS3. Next to games such as Race Driver: GRID, the Prologue flat out sucked. Gran Turismo seems so stiff and formal compared to the Codemasters title. These days choosing Gran Turismo over GRID seems like opting to spend a Sunday afternoon taking a driving lesson instead of a track day. 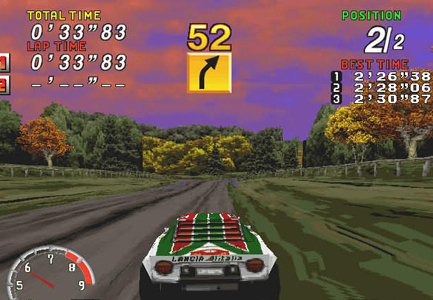 Another racing game I was a big fan of was Sega Rally on the Saturn. I could drive around literally for hours and hours on the same track - sometimes backwards for some variation, ignoring the ‘turn around’ sound bite from my co-driver - just revelling in the joy of the game’s drift mechanic. I loved the way the cars could be made to slide majestically round corners. 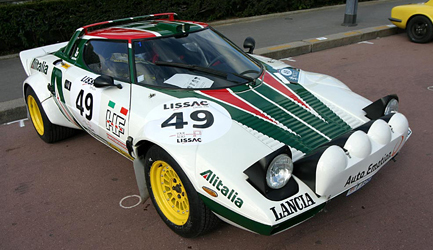 The fact that the Lancia Stratos was an object of sheer lust designed purely for the joint purposes of rallying and loin stirring made it all the better. 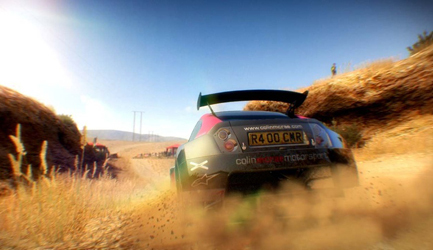 Colin McRae DiRT 2 holds the same fascination for me. The implementation of the cars’ handling on the gravel tracks is the best I’ve encountered since Sega Rally. Perhaps other games have done well in this department but for me, DiRT 2 has it nailed. I could drive around stages such as Hurrah Pass for hours and hours without getting bored. At no point have I rage-quitted from losing first place on the second last corner, simply because restarting and playing the track again is such a good thing. Throw in a great sound track, smooth online multiplayer, an awesomely polished interface and the fact that my rig can run it at 1,920 x 1,200 without complaint and I’m having the most fun I’ve had with a racing game for years. Is anyone else playing DiRT 2? Does anyone else love this game for it's drifty goodness? Let me know your thoughts in the comments below.